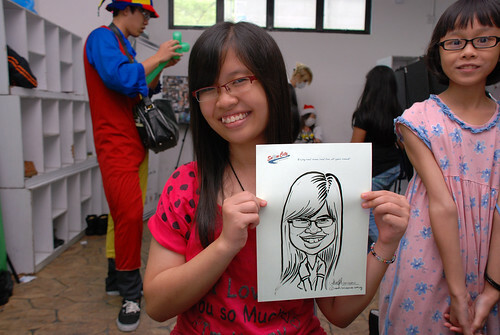 Today is the Christmas day. 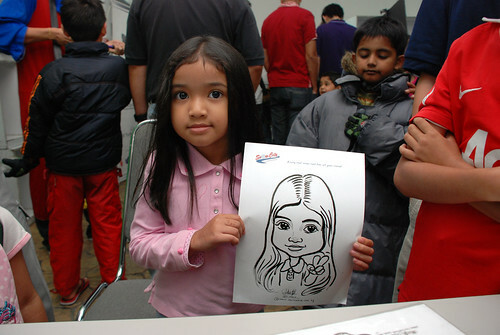 The client engaged me for 2 hours, 2-4pm, and for the rest of the 3 days this and next weekends. 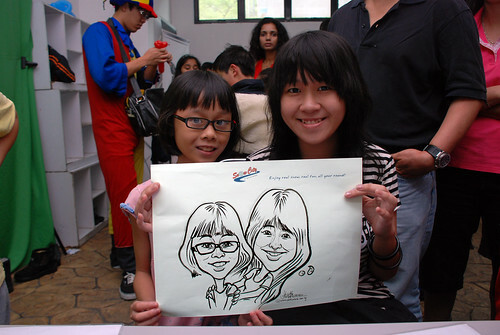 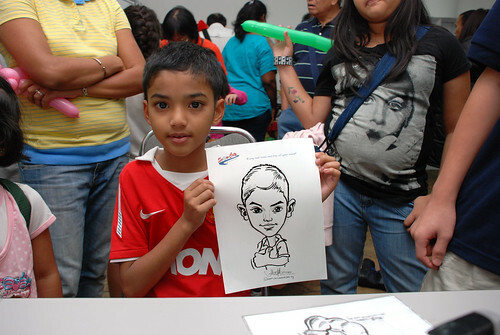 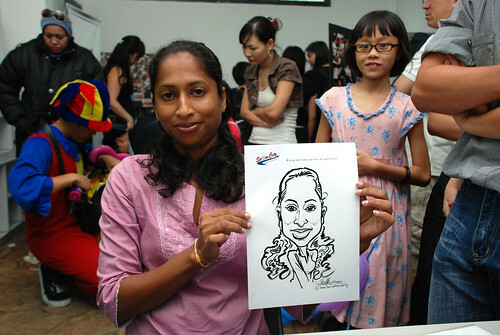 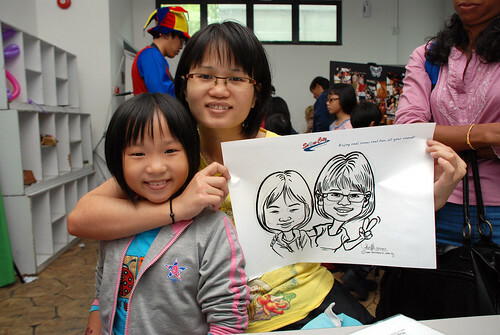 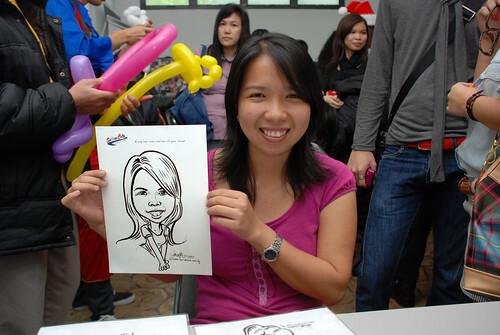 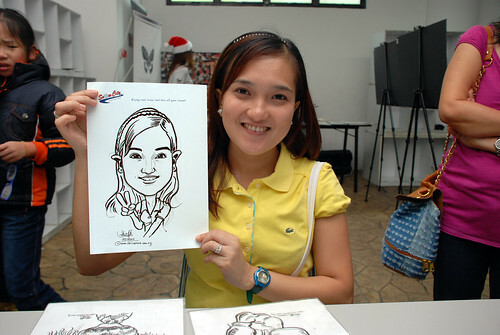 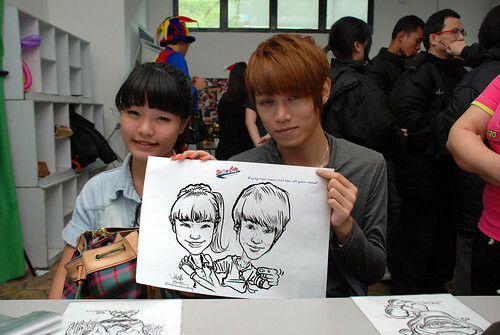 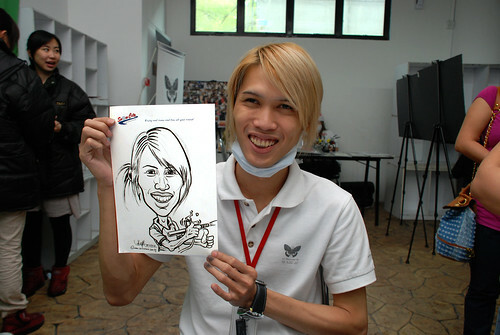 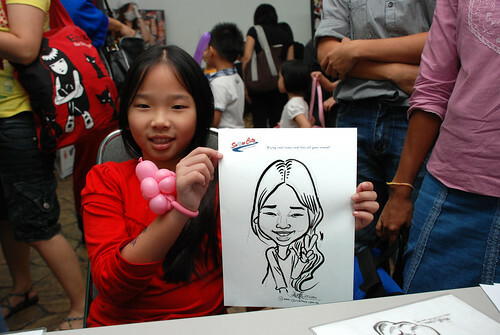 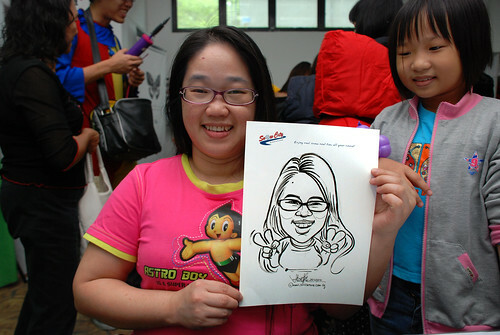 The airbrush tattoo artist - Meiya Azumi, approached me to get his caricature done. 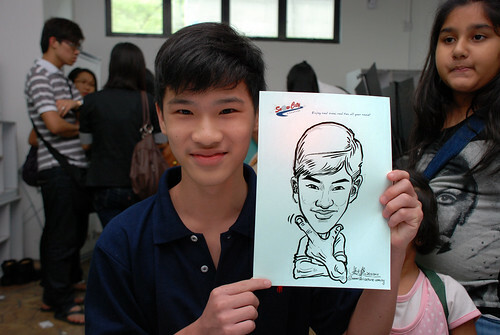 A closer one, in terms of resemblance. 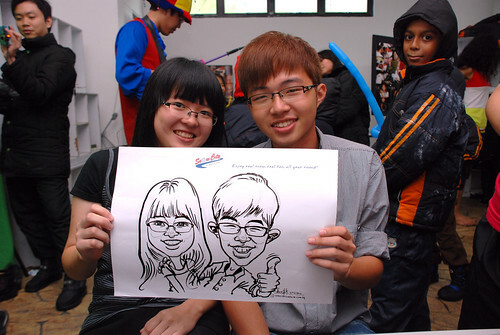 i like these 2 caricatures too.